Lydia Smith lives her life hiding in plain sight. A clerk at the Bright Ideas Bookstore, she keeps a meticulously crafted existence among her beloved books, eccentric colleagues, and the BookFrogs―the lost and lonely regulars who spend every day marauding the store’s overwhelmed shelves. I'm going to tread carefully during this review, as the plot is my favourite part and I don't want to give anything away! I seem to have read more adult books than normal this year, and Midnight at the Bright Ideas Bookstore is one of my favourites. The structure was fantastic, gradually revealing Lydia's backstory and details about Joey's life. I enjoyed trying to piece the clues together, as this is a very different, cleverly-plotted story. I'm always a fan of a book about books, and Midnight at the Bright Ideas Bookstore had a very unique take on the subject. I loved the bookstore setting and the way books were woven into the plot. A real strength of this book is in the characterisation. Lydia is a complex, realistic main character, but I warmed to the secondary characters too. Even the most minor characters felt like heroes of their own stories. This is the perfect book for book lovers, and for anyone who enjoys a good mystery. This is one of my most memorable books of the year. I received this book from Netgalley in exchange for an open and honest review. This is a hard book to review. I read it really fast because I wanted to know what happened, and it made for a tense reading experience. At the same time, I didn't feel connected to the characters, which meant I wasn't fully invested in the plot. I really enjoyed the sections where the band were performing or practising together, and I thought the ups and downs of their relationships were realistic. At the same time, I couldn't really relate to any of the band members, although I quite liked Red and Leo. My favourite character Ash wasn't even in the band, but I found her intriguing and I could read a whole Ash book quite happily. The plot kept me engaged and there were elements that were unpredictable (though I figured a few things out). 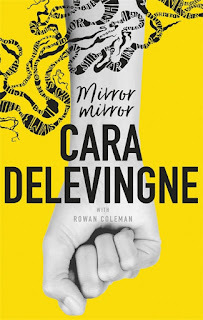 Mirror Mirror was a tense book, and I liked the way it used elements from thrillers and contemporary novels. If you liked the sound of this, now try One of Us is Lying by Karen M. McManus, which I reviewed here. Plan Bs are for people who fail. I just never, not once, not even for a tiny moment thought I would need one. It's the summer before sixth-form college. 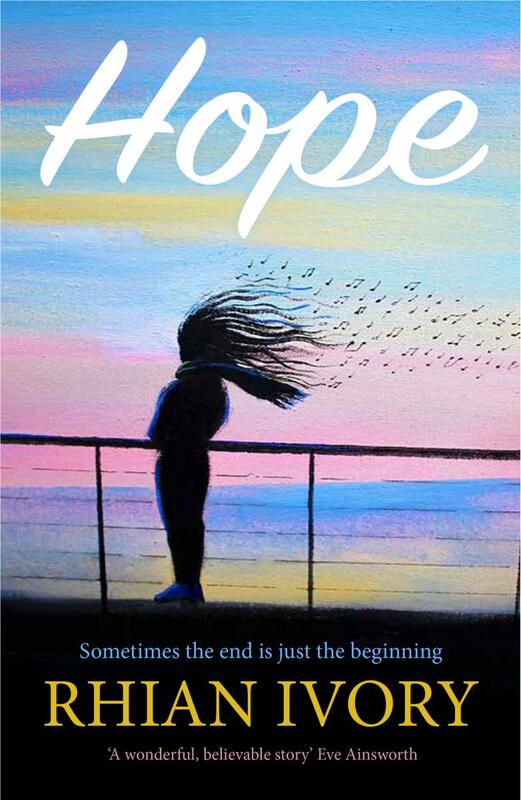 When Hope doesn't get into drama college, and her friends do, all her plans fall apart. 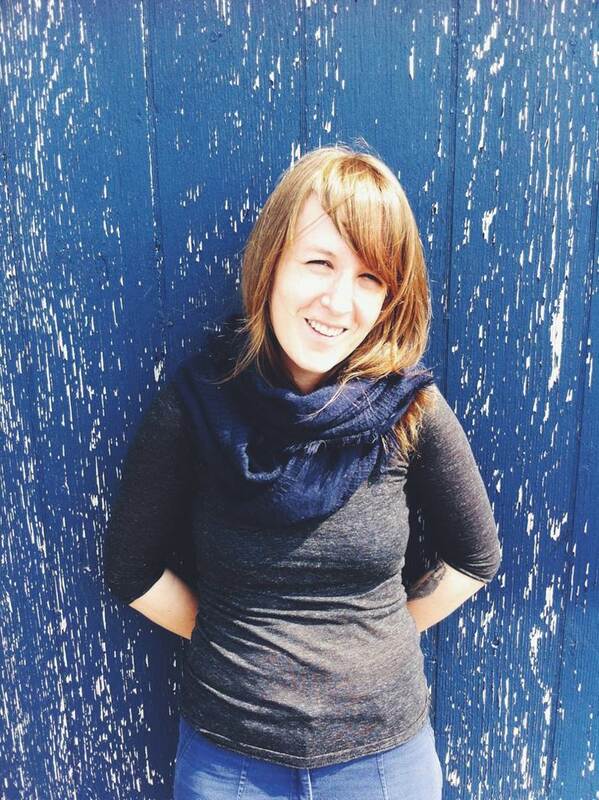 She's struggling with grief for her father and a sense that her own body is against her. A chance meeting with an attractive Irish guy on a ferry and a summer job with the Singing Medicine group at Birmingham Children's Hospital force her to rethink, but it won't be easy. I loved this book! Hope wasn't an easy read for me, but it was a very important one. It was so great that Hope tackled big issues, from serious illness to organ donation. I sometimes shy away from books that make me face up to difficult subject matters, and after reading Hope I'm going to push myself a bit more. I wish this book had been around when I was a teenager. 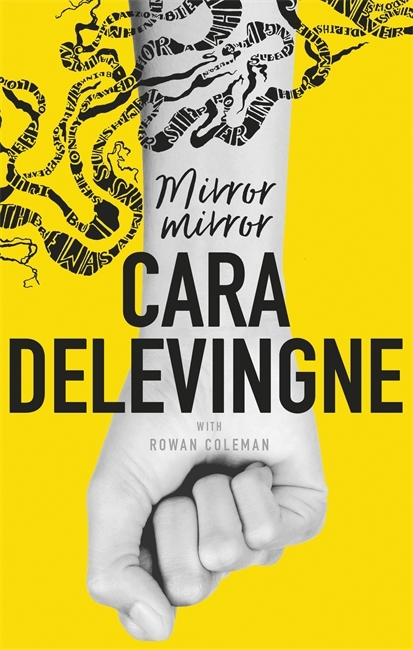 It felt like a realistic portrayal of being a teenager, with its challenges and uplifting moments. The different experiences that girls have with periods should be discussed so much more openly, and books like this go a long way towards breaking down these barriers. Hope was a great character, with a balance of strengths, flaws and interesting characteristics that made her feel very real. I also really liked the supporting cast of characters, especially Nonno. I would love to see more grandfathers and other family relationships explored in YA, which is something this book does really well. Hope made me feel a full range of emotions, but ultimately I was left feeling that this book was very aptly titled. If you liked the sound of this, try Release by Patrick Ness (which I reviewed here). This is my first ever post about podcasts because I’ve only recently got into them. Now that I have, I don’t know why I waited for so long. There are podcasts about every subject that I could possibly think of, and they’re usually free! These are some of my favourite podcasts that I've discovered so far. Feel free to share your favourites in the comments! This was the podcast that started it off for me. I’d read so many good things about it online that I was intrigued enough to download a podcast app and give it a go. The first series of Serial captured my interest. It was about a man called Adnan Syed who was accused of murdering his high school girlfriend and has been in prison ever since. The investigation was fascinating, listening to all of the sides of the story and trying to work out what was true. I thought the production company This American Life did a great job of providing a balanced portrayal of events, and the real-life dimension was gripping. I’d also recommend the second series of Serial, and S-town (another podcast by This American Life). This is my current obsession. I'm currently up to series 2 and series 3 episodes are being released every fortnight. The Black Tapes is described as 'a serialized docudrama about one journalist's search for truth, her enigmatic subject's mysterious past, and the literal and figurative ghosts that haunt them both'. I don't think I can explain it any better than that! Alex Reagan is a fantastic host - she's very engaging and relateable. I love the way reality and myth merge with this series and figuring out what I believe. It's a really tense, intriguing podcast and I'm wholly invested in seeing where this goes. This podcast is relatively new but it's made a strong start! It's about creative inspiration, and features interviews with interesting people about their slant on creative thinking and what inspires them. 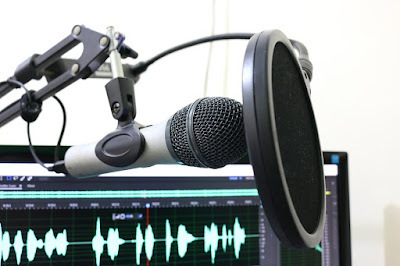 The hosts, Branan Edgens and Anson Mount, have a really strong connection and genuine interest in their subject matter, which makes this an interesting and inspiring listen. 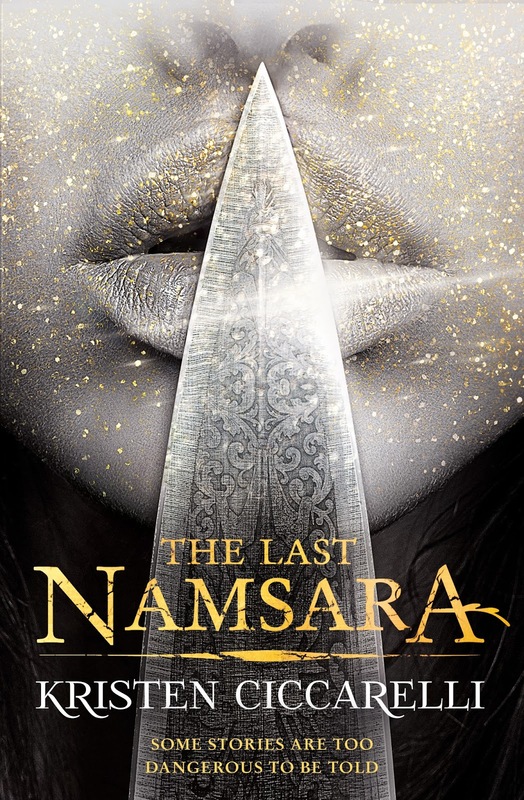 I received an advance reader copy of The Last Namsara from Gollancz and it's one of the best fantasy books that I've read for a long time. It has incredible mythology underpinning the world, a brave, interesting heroine and dragons. What more could you want? If you need more persuasion, you can read my review here. 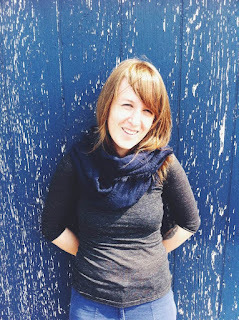 For the blog tour, I have a guest post from the lovely author Kristen Ciccarelli, who has some writing tips to share. After the guest post, you can read an author bio and a blurb for The Last Namsara. Welcome to YA Under My Skin, Kristen! 1 First of all, if you write, call yourself a writer. I’ve met lots of people who refer to themselves as 'aspiring writers' which has never really made sense to me. If you aspire to do something, it means you’re not yet doing it. If you’re writing, then you are a writer. Own it. Take your writing seriously, and it will take you seriously. 2. Do it because you love it. If you write books for any other reason than the writing, you’re probably going to hate being an author. It’s a hard job. You spend a lot of time alone, working under tight deadlines, and SO many things are out of your control. The only thing in your control are the words you put on the page. They need to bring you joy. If they don’t, your reader will know. And just as importantly: you won’t like being an author. You can’t do it for the external trappings. (You shouldn’t do anything for the external trappings—that is a recipe for unhappiness.) You have to do it for the act itself. 3. Don’t let the NOs stop you. Rejection and failure are necessary in writing (and in life) in order to grow and get better. You can’t get better unless you fail first. And you can’t know how badly you want something until someone tells you that you can’t have it. So embrace the failure. Listen to the rejections in so far as they can help you, but don’t let them stop you. Thanks so much for the advice, Kristen! It's encouraging to hear that published authors have met with rejection, to remember the important of self-believe and to love what you do. A stunning YA fantasy series from a spectacular new voice in the genre, a perfect read for fans of Victoria Aveyard, Leigh Bardugo and Sarah J Maas. Asha is a dragon-slayer. Reviled by the very people she's sworn to protect, she kills to atone for the terrible deed she committed as a child; she told one of the forbidden stories, one of the stories that summon the deadly dragons and that killed her mother. In doing so she almost destroyed her city and was left her with a terrible scar. I received this book in exchange for an open and honest review. It sounded like a respectable and worthy enough death for an explorer - tumbling from an ice bridge to be impaled upon a mammoth tusk - but Stella really, really didn't want that to happen, just the same. I don't know how Alex Bell does it. Frozen Charlotte and Charlotte Says are two of the creepiest YA books I've ever read - I still can't look at dolls in the same way. Then, this book came along and it's one of the sweetest, quirkiest and most action-packed middle grade books I've ever read! I've heard this described as being the new Northern Lights. It could definitely have that same lasting appeal, and as a bonus is more accessible too! Every detail about this book is really imaginative and surprising, even down to the creatures and plants of the world. These touches really complimented the magical setting and plot line. The characters in this book are absolutely lovely, especially the group of children. All of them had unique qualities that different people could relate to, and certain characters had really interesting story arcs. It was refreshing to have characters that were surprising and multi-faceted! I liked the fact that this book explored some fantasy tropes and completely flipped others, which made for a fresh and fun reading experience. It also delved into some really emotional subjects, such as grief, in an empathetic way. My only regret is that this would be the perfect book to read on a really cold, preferably snowy day. That might be a good excuse to read it again! If you liked the sound of this, now try The Prisoner of Ice and Snow by Ruth Lauren, which I reviewed here.